Unique Vintage tile reproductions of the Art Nouveau and Art Deco periods of the 19th Century. 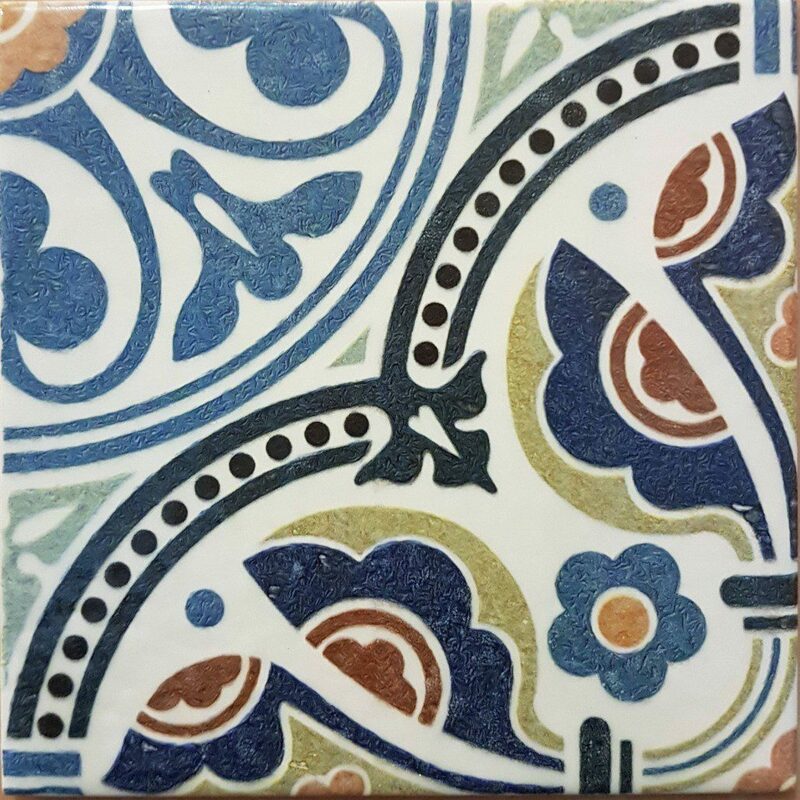 We try to produce quality tile reproductions and custom tiles using techniques of screen printing, hand painting and hand glazing. Deco Tiles are reproduced on 15×15 cm tiles but can be done on other sizes too. Can do custom tile designs according to client specifications. Art Nouveau is an international style of art, architecture and applied art. especially the decorative arts,that was most popular between 1890 and 1910. A reaction to the academic art of the 19th century, it was inspired by natural forms and structures, particularly the curved lines of plants and flowers. Art Nouveau is considered a total art style,, embracing architecture, graphic art, interior design, and most of the decorative arts including ceramic tiles, jewelry, furniture, textiles, household silver and other utensils, and lighting,, as well as the fine arts. According to the philosophy of the style, art should be a way of life. For many well-off Europeans, it was possible to live in an art nouveau-inspired house with furniture, silverware, fabrics, ceramics including tableware, jewelry, cigarette cases, etc. Artists desired to combine the fine arts and applied arts, even for utilitarian objects.